Nationwide, legislators, law enforcement officers and courts are tough on repeat drunk drivers, especially when those offenders are responsible for causing accidents that result in injury or death. Ten years ago, a drunk driver maimed a New York City police officer while on vacation in Florida. Now the same driver has plead guilty to injuring two Massachusetts men in another catastrophic drunk driving accident. Drunk drivers must be held accountable for their actions, both in criminal court and in civil cases. Our Massachusetts drunk driving accident attorneys are experienced with helping our clients protect their rights and aggressively pursue claims against negligent individuals and entities. We are experienced in handling complex cases involving repeat offenders and will take every necessary step to ensure that responsible parties are held accountable. Our legal team is also committed to raising awareness about the dangers of alcoholism and repeat drunk driving to stop future accidents, injuries and preventable fatalities. In February of 2012, a 32-year-old drunk driver plowed through an intersection at 75 miles per hour, ran a red light and caused a catastrophic accident that required two men be removed by the jaws of life. She fled the scene after the accident, but was later apprehended. The accident left two young, male victims critically injured, one is still in the hospital. In 2002, the same drunk driver was 19 years old when she smashed into a man in Daytona Beach. The off-duty officer was injured so bad that his leg had to be amputated. The victims and their families do not see justice in this case. While the driver has only a 2 and a half year jail sentence, one of the victims has been in the hospital over 22 months. He is still in recovery and could face a longer hospital stay, rehabilitative care and require long-term care. After the operations and medical treatment, it is likely that he will require some kind of support. Thought the criminal justice system aims to protect victims and to prevent future drunk drivers, it doesn’t always have this effect. Countless times, drunk drivers have been penalized in the criminal justice system only to get released and commit another drunk driving offense. In some cases, a second or third offense can be even more severe, resulting in catastrophic injuries and death. Civil lawsuits can also have a deterrent effect if that driver faces severe financial penalties. 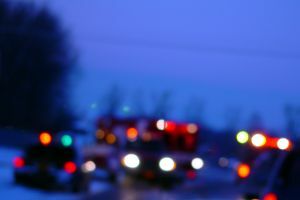 In this case, the family has the opportunity to bring an additional civil claim against the drunk driver for her negligence and her role in causing severe injuries to the victims. In addition to recovery for medical expenses, lost wages, and pain and suffering, the victims may also be able to recover punitive damages as well as compensation for any additional losses related to the accident.